We love the marijuana industry. And we love (some) cryptocurrencies. But when Miss Iowa 2014, Jessica VerSteeg, claims that she's going to lead a marijuana revolution with her new Paragon Coin, we're skeptical. And if you're not, you should be. VerSteeg, who has no cryptocurrency experience to speak of, has teamed up with rapper Jayceon Terrell Taylor (a.k.a. "The Game") to start a "cannabis revolution with blockchain." This new cryptocurrency, Paragon Coin, is the second of VerSteeg's cannabis-related ventures, the first of which is a luxury marijuana delivery service called AuBox. 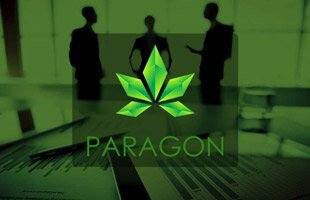 Paragon Coin, which will go by the ticker symbol PRG, aims to build a blockchain-based ecosystem to support the infrastructure of the marijuana industry. Its parent company, Paragon, was founded by Jessica VerSteeg after she realized that blockchain technology could effectively handle supply chain management for her other venture, AuBox. In an interview with CryptoCoinsNews, VerSteeg explained that marijuana dispensaries have trouble sourcing their products and are often forced to deal with potentially untrustworthy distributors, as the industry remains largely unregulated. And blockchain technology in the form of Paragon Coin could be the solution to dispensaries' woes. "Verifying lab results is a huge part of it," said VerSteeg. "This lets customers and patients just scan a QR code and see the results. It guarantees that people are getting what they want and what their doctors are recommending." Businesses would rent space using PRG and can then use the tokens to make purchases from their on-premises cafe. "It's really important that people get real things from it," VerSteeg said of using Paragon Coin, "so they can see this isn't fake, it's not a video game, it's a real thing." But that claim rings hollow in the absence of information about how Paragon Coin will operate. In fact, it seems like the new cryptocurrency is relying mainly on its B-list celebrity endorsements, like that of Taylor's, to gain traction. Should I Invest in Paragon Coin? It's entirely possible to prosper from the marijuana industry as well as the crypto market. But it's also entirely possible to lose. Especially when you're investing in a company that has inexperienced leadership at its helm. The trick to finding great companies – and we mean really great, rock-solid, long-term growth companies – is to identify companies with great operations. "I think we will see a continued stream of people getting into the marijuana space. You need to be careful to avoid the fast-buck artists that are out there," says Money Morning Director of Technology & Venture Capital Research Michael A. Robinson. "You need to look for people who are seasoned in some investment space with some kind of track record. You're looking for solid managers with some kind of past track record of success." And unfortunately for Paragon, it just doesn't have experienced leadership. VerSteeg's background gives no indication that her "PRG tokens" will gain any more traction than the 1,000 other cryptocurrencies vying to be the next Bitcoin. And her AuBox delivery service isn't exactly a major player in the marijuana space, either. What's more, it's important to separate the "signals" from the "noise" when looking for a cryptocurrency to buy. In the case of Paragon, the celebrity fuss surrounding the ICO is just "noise" and not a true "signal" for investors. In fact, details are suspiciously absent. Although Taylor promised Twitter followers more details would come on Aug. 15, the date came and went without any new information. While it may seem tempting to rush in on an initial offering as soon as it's released, the best strategy for volatile ICOs like this is to wait and see. "If you're an investment banker, venture capitalist, or company insider, you can make a fortune with [initial offerings]," Michael says. "However, most investors should avoid buying them at the open." 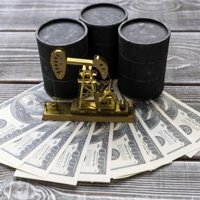 "At that point, you're likely to pay top dollar and very well could see the value of your investments drop immediately – and steeply," he cautions. Michael is our renowned technology expert and one of the top financial analysts working today. What's more, Michael is also our chief marijuana industry expert – and for good reason. He's been a board member for a Silicon Valley venture capital firm and a senior advisor to 12 high-tech startups. He's also a Pulitzer Prize-nominated writer and reporter, lauded by the Columbia Journalism Review for his aggressive style. His research is world class, too. The Oakland Tribune, Detroit News, The San Francisco Examiner, The Kansas City Times, Wealth Magazine, and American Banker have all published his reporting. He's even appeared on Larry King's syndicated radio show and is a regular guest on CNBC's "The Rundown" and FOX Business Network's "Cavuto: Coast to Coast." And just recently, he visited the epicenter of America's legal cannabis sector – the fourth annual Cannabis Business Summit & Expo in Oakland, Calif.
"This was probably the biggest, most important legal weed conclave of the year," says Michael. "I got the chance to talk to some of the giants of cannabis – former President of Mexico and cannabis bull Vicente Fox, for one, and Taylor West of the National Cannabis Industry Association, to name another…"
The information he gathered at this conference was extremely valuable. So valuable that he couldn't help but share it with his Money Morning readers. He's sharing every single trend and tip he's picked up at this expo in his limited-time, 89-page guide, The Roadmap to Marijuana Millions. Included in this guide are 30 of the absolute best pot stocks to invest in today. In fact, three of the largest gainers in Roadmap have minted investors 164.38%, 251.8%, and even 300%. And it's only available to Money Morning Members. Reserve your copy today, right here. For more marijuana industry updates, follow Money Morning on Twitter @moneymorning, Facebook, and LinkedIn.